Ocean block condo (walk up the street to the ocean and walking boardwalk) one bedroom with twin beds and the living room has a brand new leather pullout couch with a memory foam mattress, the condo sleeps a total of four. Check in at 2 pm / check out at 10 am wireless internet, expanded cable TV (HBO Etc), two flatscreen TV's, two beach badges included, outside rinse off shower. We rent all year long, during the Summer season we rent a minimum of a week or longer if you desire. During the off season we will rent as long as you desire, weekly, weekends long and short, or during the middle of the week. There is NO SMOKING in the unit or on the complex and also there are NO PETS allowed, the condo is on the second floor. WIRELESS INTERNET, expanded cable TV, two,flat screen TV's , AC-heat etc - within walking distance are various places for you to eat and a short drive away are amusement parks - during the Summer season we rent a minimum of a week. We live locally so any issues will be handled right away. Quiet complex, walk up the street to the ocean (entrance) and walking Boardwalk. 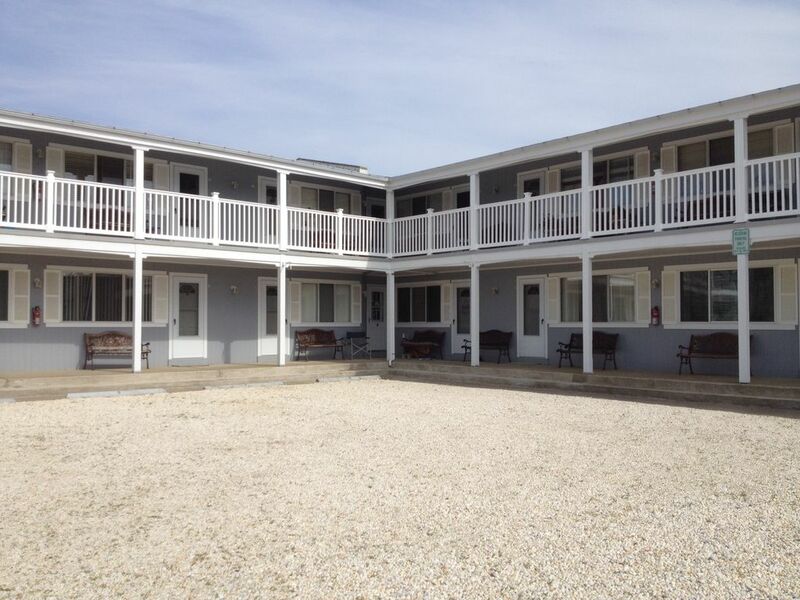 All your needs are within walking distance, during the off season we will rent whatever your needs are, the motels in Lavallette close once the summer season ends, but we stay open for you! The ocean is right up the street, no streets to cross. Entrance to the ocean is at the top of our street. Bike rack only we do not provide bikes! Wireless Internet - Expanded cable TV (HBO etc) - Two TV's (flat screens) two beach badge included, AC- heat, two ceiling fans, one off street parking spot. The owners were very responsive as we were communicating on our way to the shore in regards to arrival time. They were very accommodating as we were delayed and arriving later than expected. When we thought we were locked out, they were quick to arrive and let us back in. The condo was perfect for our weekend get-away with just me and my husband. It is a short distance to the shore and the price is very reasonable. I would definitely recommend this place to other VRBO renters! Thank you so much we appreciate your kind review! Seamless experience! Hosts were very hospitable, would definetly stay again. Thank you so much for the rental and leaving the condo spotless! We hope you do return! I was very happy and pleasantly surprised with the apartment. Sometimes pictures are deceiving but not in this case. It's one block from the beach, close to restaurants, clean, comfortable and has everything you need. Diane is very responsive to any questions and a lovely person. Very clean property, very homey, we will be back!!! !